24th March 2017, Mumbai: d2h, the fastest growing DTH service provider in India has signed deal with SonyLIV for its HD Smart Connect Set Top Box. This partnership will enable d2hâ€™s HD Smart Connect Set Top Box customers to access a seamless broad selection of content available on SonyLIV app. SonyLIV which is the first premium Video On Demand (VOD) service by Sony Pictures Networksâ€™ (SPN) will enrich d2hâ€™s customers with an array of movies, strong line-up of events across all sports, shows, music, TV Shows and much more. SonyLIV can be accessed through all Web Apps button on d2hâ€™s HD Smart Connect Set Top Box. The Smart Connect Set Top Box works on connectivity management platform to deliver a variety of connected services that leaves the customer with wide choice for entertainment. HD SMART Set top Box (Connected Set top box) converts any existing TV into a Smart TV besides showing you 650 Channels & services in High Definition and Standard Definition. The DTH service allows one to watch their favourite channels in SD and HD, the Connected set top box allows one to browse content from applications residing on STB. These Applications will enhance the pleasure of accessing content on a bigger screen thus making it a family event rather than solo watching on a smaller screen. HD Smart Set Top Box will work as a tool for personalization, engagement and new customer experiences and with internet connectivity, one can convert oneâ€™s TV into a smart TV using it. Mr. Uday Sodhi, EVP and Head – Digital Business, Sony Pictures Networks India Pvt Ltd, said, â€œWe are pleased to partner with d2h to enable seamless access to our broad selection of superlative entertainment content for its customers. Through this synergistic association, we will be entertaining and engaging the audience with the rich content portfolio that SonyLIV showcases. The partnership allows us to deliver a superior entertainment experience to Indian audiences across genres and multiple screens, and live up to our brand promise of â€˜We LIV to Entertainâ€™." d2h has prided itself in presenting its subscribers with a robust line-up of more than 650 Channels & services in High Definition and Standard Definition, including a host of regional channels. It offers a wide range of active services like smart services including Smart English, Smart Games. The other active services include d2h Hollywood HD, d2h music, d2h spice, d2h cinema in both Standard Definition and HD, etc. SonyLIV is the first premium Video on demand (VOD) service by Sony Pictures Networksâ€™ (SPN) providing multi-screen engagement for users on all devices. Launched in January 2013, it enables users to discover 21 years of rich content from the network channels of Sony Pictures Networksâ€™ Pvt. Ltd. It also provides a rich array of movies, strong line-up of events across all sports, shows, music, product reviews. With 30million app downloads so far, SonyLIV is the first amongst its competition to provide original exclusive premium content. As a true pioneer in its space, SonyLIV launched Indiaâ€™s first-ever original show exclusively for the online platform earlier this year. With #LoveBytes, it became the countryâ€™s first digital video-on-demand (VOD) platform to introduce an innovation of this nature. SonyLIV also launched YOLO - You Only Live Once, the first-ever regional language web-series on an OTT platform in India and LIV FIT the first-ever health and wellness segment on an OTT platform in the country. In October 2016, SonyLIV also introduced LIV Kids as its premium content especially designed for children. 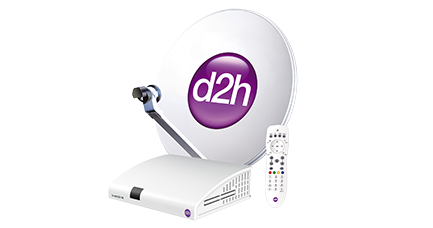 d2h, a pioneer amongst the DTH service providers has won the hearts of millions over the years with its quality services that are constantly revolutionizing the entertainment industry. 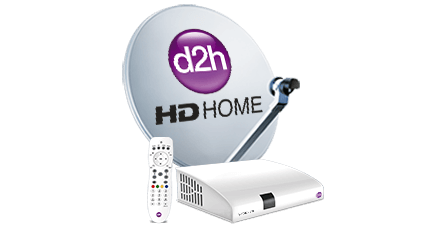 Since the last 4 years, d2h has continuously been Indiaâ€™s Fastest Growing DTH Service. It launched its services in 2009 and went pan India by 2010. It has a gross subscriber base of 17 million in span of 7 years since its launch. d2h is the first Indian media company to be listed on NASDAQ. Enhancing entertainment and TV viewing for our customers has always been a priority for d2h. This made us come up with some of the best technological innovations like Indiaâ€™s first 4K Ultra HD Channel, Wireless DTH Headphones, Radio Frequency DTH Remote and a 1000 GB HD DVR, constantly redefining the TV viewing experience. d2h has prided itself in presenting its subscribers with a robust line-up of 650 channels and services, including 60 Asli HD Channels & services and a host of regional channels. d2h is launching HD Smart Connect Set top Box (Connected Set top box) which converts your existing normal TV into a Smart TV. The Connected set top box allows one to browse content from Facebook, Twitter, Daily Motion, video on demand sites, news sites, weather sites, etc through applications residing on STB. Powered by the MPEG-4 and DVB-S2 technology, d2h transforms your TV into a hub of entertainment and knowledge. SMART Services, a value-added bouquet of learning activities and games includes Smart Cooking, Smart English and Smart Games, all available on subscription basis. 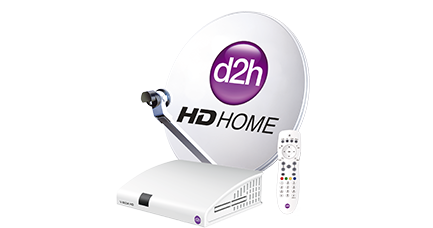 Smart services of d2h has something good to offer for every member of family right from an infant to a housewife. The Other value added services offered by d2h are: d2h Cinema, d2h Cinema HD, d2h Hollywood HD, d2h Darshan, d2h Sajda, d2h cooking, d2h music, d2h spice, d2h movies & d2h classic. d2h has a pan India sales & distribution channel, superior service orientation with over 300 own service centers spread across 7500 top towns in India to attend and resolve the service issues within 4-6 hrs. d2h has been awarded as Indiaâ€™s Most Trusted Brand 2016, Pay TV Operator of the Year at MIPCOM Cannes 2015, Asiaâ€™s most promising DTH brand 2013, 2014 & 2015. Indiaâ€™s Best brand 2014 by Economic Times, Indiaâ€™s Most Promising Brand 2015 by Economic Times & recognized as top 50 dream companies to work for by World HRD Congress.